As part of #TuesdayTips I wanted to do something special for Landscaping Business Owners. Today I am going to tell you how you can use Twitter to get clients and online recognition. I've been around the block with SEO and have dabbled with many social media platforms including Facebook, Google Plus and StumbleUpon. In my humble opinion, however, not one of these social media sites hold a candle to the awesome power of an active Twitter profile. What is a Twitter profile without followers? Nothing at all. Not only that, but 1,000 Twitter followers that all live in China are not going to do you any good either. So, it's all about acquiring the right Twitter followers. Utilizing the 160 character Bio section of your Twitter Profile is extremely important. And it's even more important that you include words like landscaping, yard care, lawns, etc. in that bio because when people go out looking for people to follow, they are going to use your bio to determine if you are worth following or not. If someone that actually gives a hoot about landscaping and yard care comes to your bio and all you put there is "Follow for awesome updates!" they are very likely to turn you down. You want to attract an audience that shares the same passions as you and your business. These followers will come naturally with time, but a quick way to some good followers is an updated and keyword-rich Twitter bio. I don't mean go out and follow your competition (but you know what they say about keeping your enemies close..) but the greatest way to get Twitter followers is to follow lots and lots of people. A Twitter Tool that I absolutely love is FollowerWonk. Pull up FollowerWonk, type in Landscaping and hit go! It will show you every person on Twitter that uses the word Landscaping in their Twitter Bio. Follow enough of these people and you will have landscapers and gardeners following you like crazy. It's very misleading to say that Twitter, alone, is capable of flying your website to fame and traffic-growth. 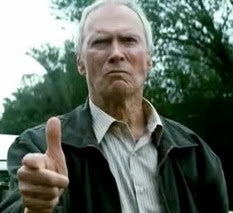 But your Twitter account without a blog is like Dirty Harry without his Smith & Wesson Model 29 .44 Magnum. Still Dangerous. Just not as dangerous. By posting fresh content on a daily basis on your blog, you increase your search engine ranking and the ability for people to see you online. If potential customers see you as someone that provides free, helpful information about your industry, they are more likely to do business with you than your competitors. Especially with the landscaping niche, having a blog allows you to share knowledge, opinions, and expertise relevant to the industry. It gives you an opportunity to talk about your products and services in detail, convince the customers, and update whenever there is a change in the direction of your sales. A blog allows customers to see updated and fresh information, testimonials from recent purchasers, as well as comments and conversation posted by existing customers. When people go looking for reviews of your company on Search Engines like Google, you want to make sure good things show up. If you have a bad review on Yelp, Google Places, or [heaven forbid] RipOff Report, a blog can help keep good reviews appearing at the top of the Search Results, pushing bad reviews further down. with a blog you establish communication and relationships with your customers which builds trust and credibility. If your website is already built on a CMS (Content Management System) such as WordPress or blogger, you can start blogging right away. Otherwise, you will have to decide if you want to have your blog totally separate from your company website or part of your existing website. I think landscaping blogs are great because there's always something to write about. I have been shoveling out posts about yard care at a steady rate for over a year now. Sometimes it's hard to think of something to write about but because landscaping is such a broad topic, the possibilities are virtually endless. Day-Specific Posts - Tuesday Tips is an example of a Day-Specific Blog post. ConsumerBell tweeted another Tip Tuesday blog post which is where I got the inspiration for this post. Some other examples of Day-Specific posts are Wordless Wednesdays, Whiteboard Fridays, Weekend Coffee Links, Fill-in-the-Blank Fridays and Frinks. Before and After Photos - Posting before and after photos of some or all of the projects you do is an easy and effective post. Readers love graphics and Google likes frequency! So it's a win-win. Don't forget to link to your twitter profile from your blog. Here are 20 Embeddable Twitter Badges and Widgets you might find useful.